Wildlife officials had already shut down hunting in designated central and east Panhandle regions of Florida after the first day Saturday. The statement late Sunday said additional regions in north and south Florida were closed to hunting after the second day, meaning hunting had ended in all four "bear management units" were it was allowed. Authorities say they weren't alarmed by the numbers, saying the figures suggest the bear population is higher than they thought. The hunt was approved earlier this year after considerable and contentious debate. 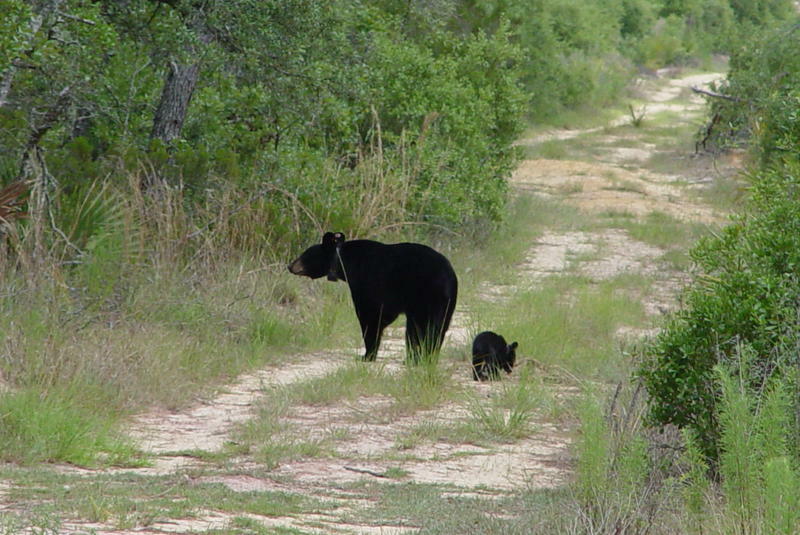 Backers estimated Florida's black bear population had grown to 3,500 -- from a few hundred in the 1970s. But opponents challenged those numbers. More than 30 states allow bear hunting in some form, officials said. Earlier Sunday, the agency's executive director, Nick Wiley, told The Associated Press the agency closely monitors the numbers of bears taken and was already leaning toward ending the hunt after two days. The agency's subsequent statement late Sunday said the agency "took a conservative approach ... building in buffers so the number of bears harvested would stabilize growing populations while ensuring a continuation of healthy bear numbers." Officials shut down the central and east Panhandle regions after the hunt's first day Saturday. 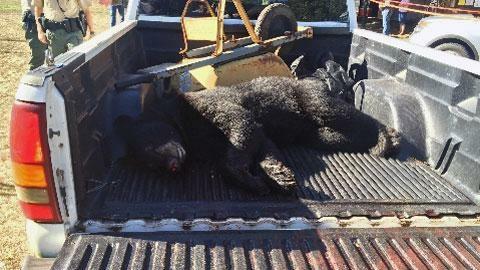 They said 112 bears were killed in the Panhandle region at last count, nearly triple the 40 kill limit for that area. In the central region, which includes Alachua, Bradford, Brevard, Clay, Flagler, Lake, Marion, Orange, Putnam, Seminole, St. Johns, Sumter and Volusia counties, 139 bears were killed on Saturday alone, FWC said. The agency said 23 bears were taken in the the north region, which includes Baker, Columbia, Duval, Hamilton, Nassau, Suwannee and Union counties, and 21 bears in the south region before those final two areas were closed Sunday to hunting. "From a biological sustainable population perspective, none of these numbers are worrisome to us, we have large growing bear populations," said FWC's Thomas Eason, speaking Sunday before the overall hunt had ended. Backers of the hunt said growing numbers of bears presented a safety problem, as close encounters with bears made headlines in recent months. Activists have argued that the state should instead focus through other means on curbing nuisance bears and assuring safety through trash management and other means. Opponents of the hunt staged protests around the state over the weekend. Officials set up 33 stations where hunters were required to record each kill within 12 hours, with some of the last stations to remain open until noon Monday. 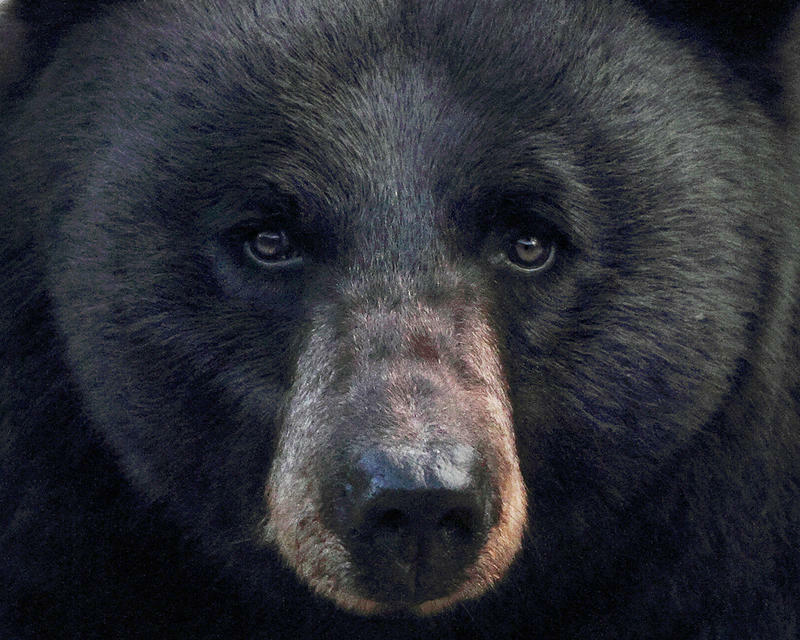 Hunters were prohibited from using dogs or bait to lure the bears, and could only kill bears weighing more than 100 pounds, among other restrictions. Among the weapons allowed: shotguns, bows, pistols, revolvers and crossbows. Copyright 2015 by News4Jax.com. The Associated Press contributed to this report. All rights reserved. This material may not be published, broadcast, rewritten or redistributed. Protesters are running out of time to stop Florida’s first legal black bear hunt in more than twenty years. More than 2,500 hunting permits have been sold for the week-long bear season that starts Saturday. Jacksonville activist Adam Sugalski says teams of people will be going into the woods during the hunt to monitor the hunt. They also want to check the stomach contents of dead bears to see how many were shot in the wild and how many were baited. 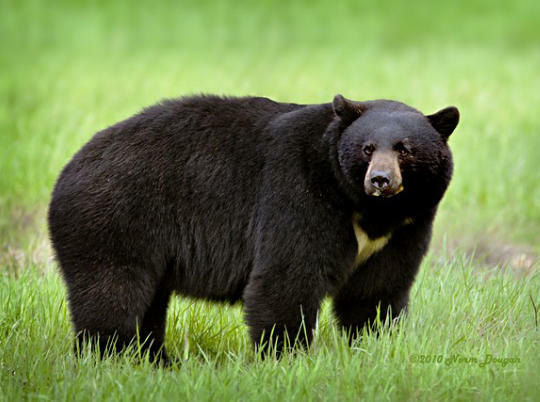 With Florida black bear hunting season scheduled to start next month, a conservation group is asking a judge to block it. But a veteran wildlife lawyer says the group’s chance of success is slim. Gov. Rick Scott will not use executive authority to block the state's first bear-hunting season in more than two decades, despite pleas from animal-rights groups. While anti-hunt groups have been collecting petitions and planning protests across the state on the eve of next month's hunt, the governor's office said Scott has left the issue up to the Florida Fish and Wildlife Conservation Commission, which has already voted to proceed.